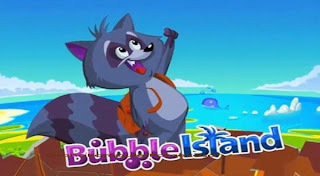 Bubble Island - Game Bubble Island is a pretty straightforward game with simple rules; anyone can learn to play it within a few minutes. The main goal of the game is to last as long as possible by connecting bubbles of the same color together in order to make them disappear. The tricky part is that the bubbles keep coming so being fast will result in better scores. The Bubble Island game is great to play and have fun with. You get to create a new player, to get someone to help you shoot the balls and gain levels. The game is like a puzzle because you need to match the colors for each ball you shoot to get further in the game. - Flash Player previously installed.